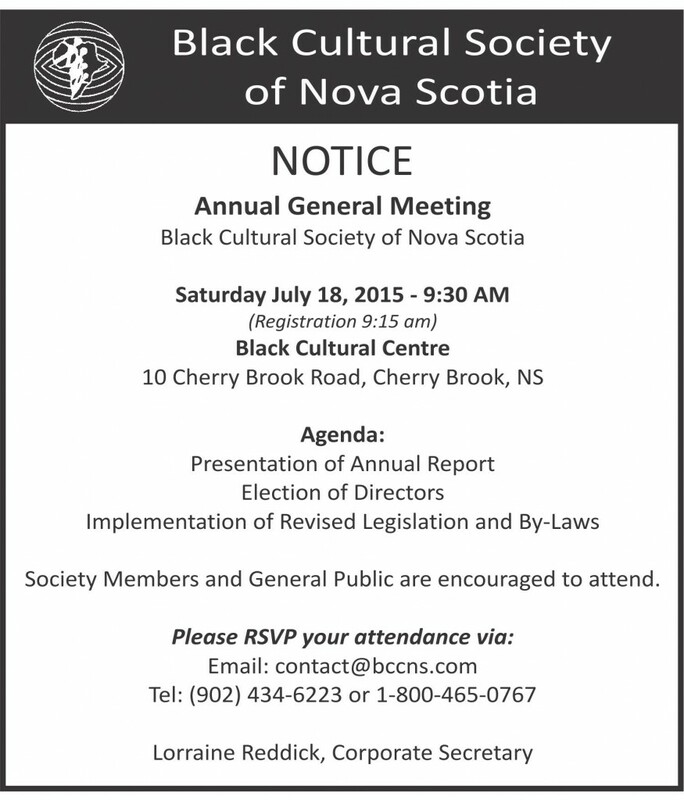 The Black Cultural Society of Nova Scotia, established in 1977 as a provincial charitable organization with a mandate to Protect, Preserve and Promote African Nova Scotian Heritage and Culture. These objectives are carried out through the operation and management of the Black Cultural Centre for Nova Scotia. 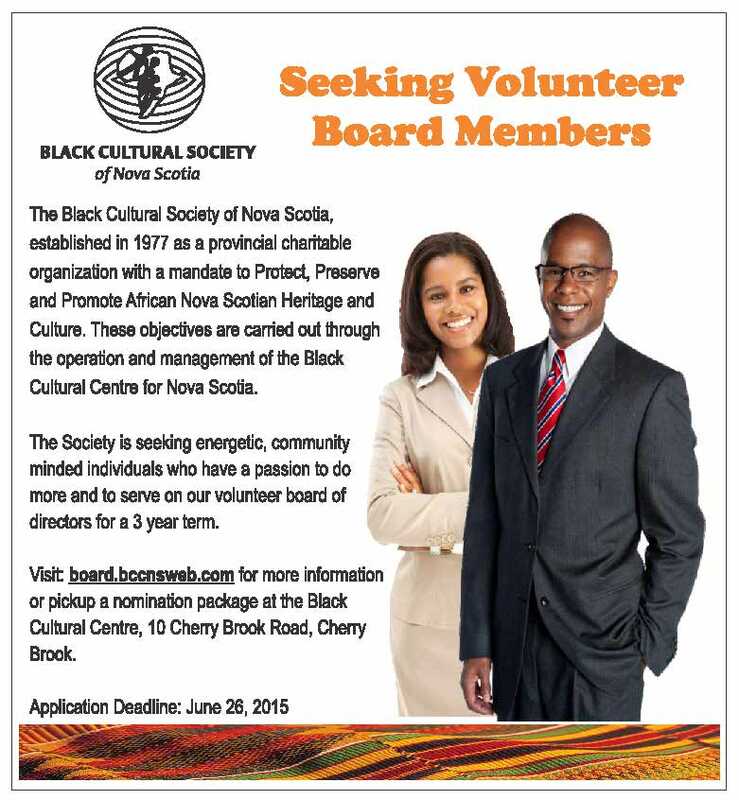 Completed nomination forms can be submitted via email (nomination@bccnsweb.com), by mail or in person at the Black Cultural Centre, no later than June 26, 2015. All nominations will be held in strict confidentiality and will be reviewed by the board recruitment / nomination committee.